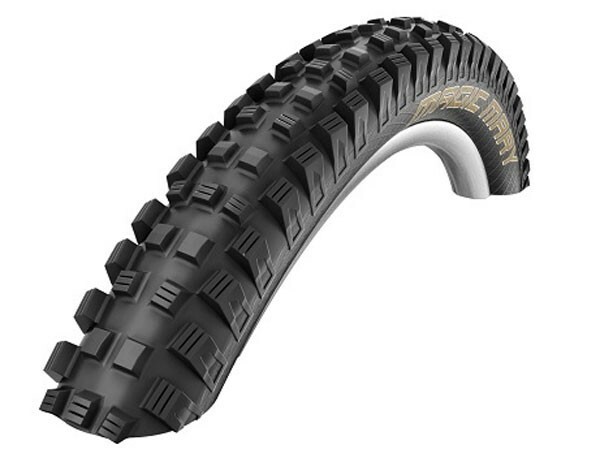 A tire favoured by professional Downhill and Enduro riders. In the Super Gravity version it is much lighter than traditional Downhill tires but nevertheless with extremely stable sidewalls and protection. Special Bikepark Version. It’s a lot of tire for the money. The construction is based on a stable motorcycle carcass making the tire highly robust. The dual compound is at the same time grippy and durable. PaceStar - for MTB Race, All Mountain and Tour. Super-fast with a combination of low rolling resistance and durability. The tire shoulders were made appreciably softer to improve handling on rough terrain. TrailStar - for Enduro and Freeride. Triple Nano compound was unsuitable performance-wise and the rolling resistance of Gooey Gluey was too high. TrailStar has substantially more grip, better damping and handling control. Nevertheless, the compound is not overly heavy, making it suitable for climbing too.